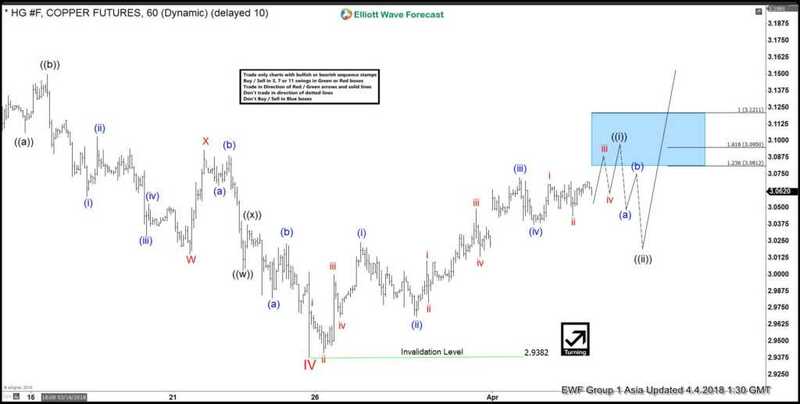 Short Term Elliott Wave view in Copper suggests that the decline to 2.938 on 3.26.2018 ended Minor wave IV. The metal started a new leg higher from there in Minor wave V. Subdivision of Minor wave V is unfolding as an impulse Elliott Wave structure. 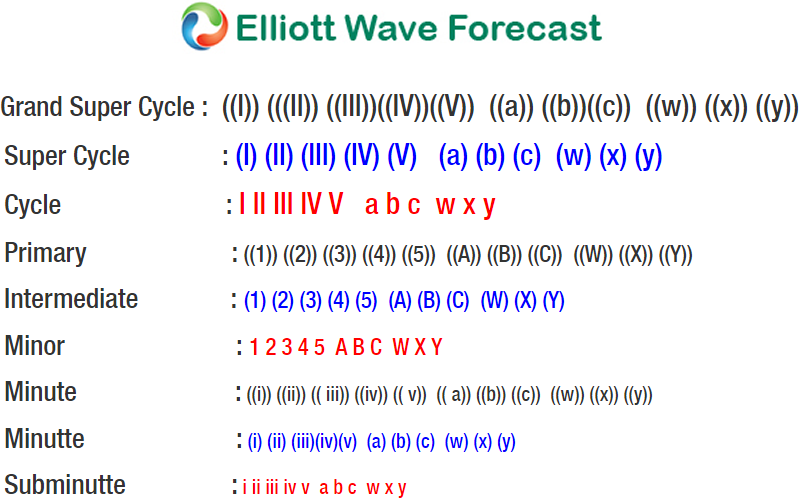 An Impulse Elliott Wave structure is a 5 waves structure where wave 1, 3, and 5 subdivision also subdivide in another 5 waves of lesser degree. In the case of Copper, up from 2.938, Minutte wave (i) ended at 3.024, Minutte wave (ii) ended at 2.968. Minutte wave (iii) ended at 3.072 and Minutte wave (iv) ended at 3.037. Near term focus is on 3.081 – 3.095 area to complete Minutte wave (v). This next leg higher in Minutte wave (v) should also end Minute wave ((i)) of a larger degree. Copper should then pullback in Minute wave ((ii)) in 3, 7, or 11 swing to correct the cycle from 3/26/2018 low before the metal resumes the rally, provided pivot at 2.938 low stays intact. 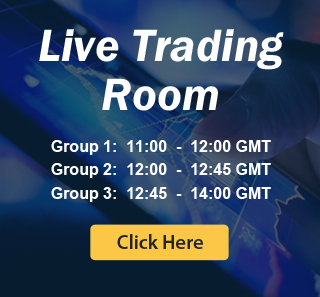 We don’t like selling the proposed pullback and expect buyers to appear as far as pivot at 2.938 low remains intact in Minute wave ((ii)) dips.